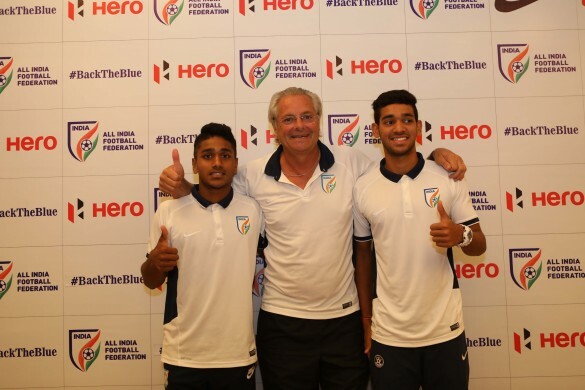 The India U-17 national team are undergoing some rigorous training with the FIFA U-17 World Cup two and a half months away right now and their coach Luis Norton de Matos attended a press conference in the capital earlier today where he spoke about various subjects prior to traveling to South America for a preparatory tour. The coach also brought along two of India’s brightest young talents in Rahul KP and Shubham Sarangi to interact with the media. The duo have been extremely impressive for the junior national team during their preparation for the U-17 World Cup and have scored many goals in the team’s tours around Europe.